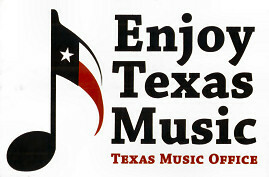 for a list of area live music venues where theDURANGOband is scheduled to perform near you. 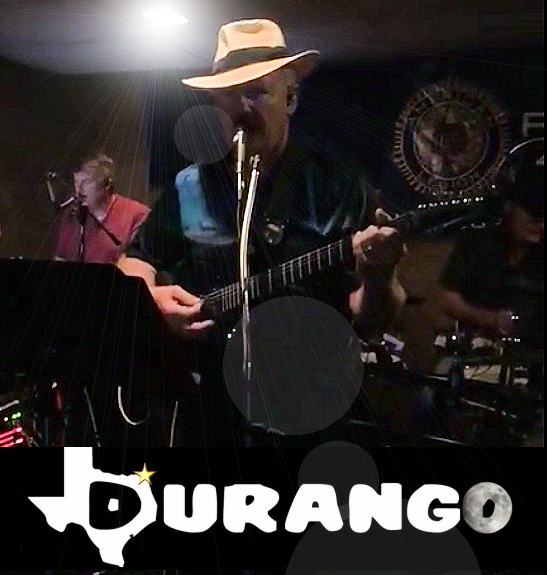 DURANGO ... promises a wide variety of material that ranges from traditional country ballads and two-steps to classic rock'n roll. The band provides an extensive professional sound system that can fill any size club with rich, clean foot stompin' music! Everyone has a good time with Durango! We strive to perform a wide variety of dance music. Everything from 1940's traditional old time country standards to 1960's- 70's R&B / Mowtown tunes and rock'n roll classics, to current country radio popular playlist tunes. 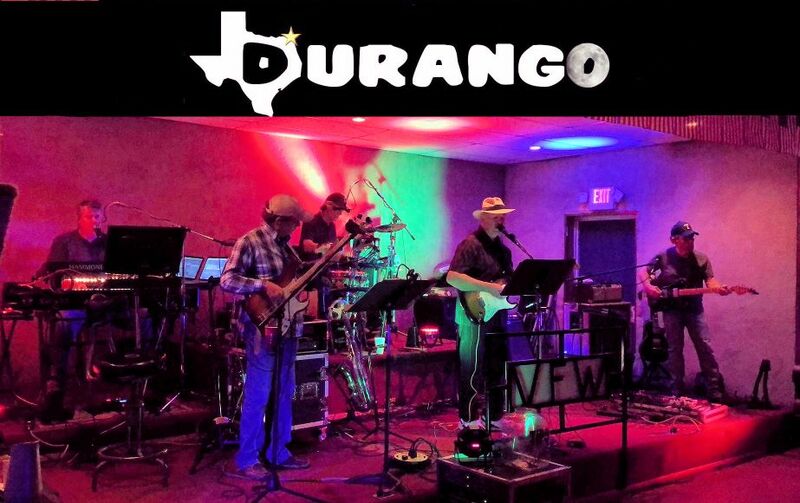 The Durango band is a group of guys that have kept folks dancing and taping their toes for over thirty years, and had a BLAST doing it! 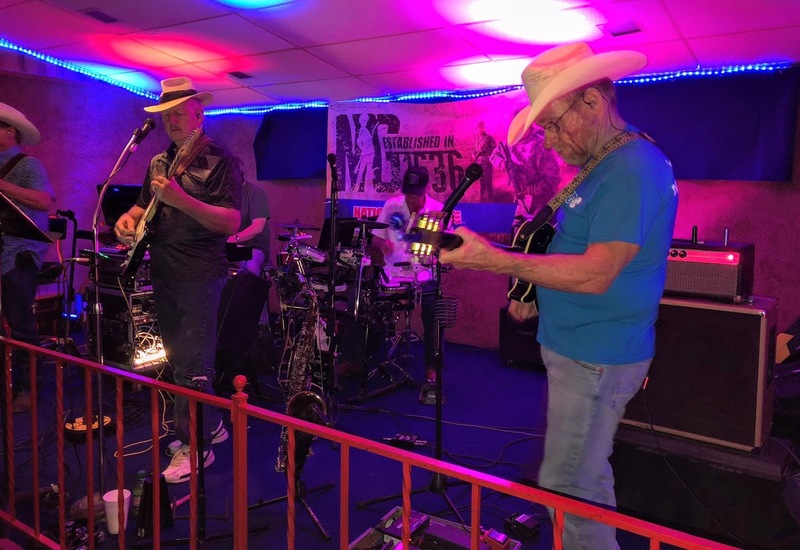 Originally the band performed Gospel music in the early 1980's and by 1982 began playing area clubs as the Southern Seven Band and later were known as The Wild Horse Band. From the beginning, the core of the band has always been guitarists and brothers, Gerald (a.k.a. "Jerry/ Hair") and ("Big") Ed Stephenson. Keyboardist and vocalist, Mark Storey from College Station, TX. joined the Stephenson brothers as a temporary sit-in player in 1985. The Durango sound was raised to an entirely new level in 2004 when the talented drummer, "Captain" Dennis Morgan from Hooks, Texas joined the group in 2004. Mike Morris, a former member of the band and a very talented lead vocalist and musician also from Hooks, Texas has returned to the stage to rejoin the band in November 2014. Mike previously performed as the drummer and a vocalist in the early 90's. Mike is now singing as well as playing tenor sax and rhythm guitar along with percussion! We hope we have a chance to play for you. Click here for a list of area live music venues where DURANGO is scheduled to play. DURANGO: the Boys in the Band Click Here to find out more than you ever wanted to know about the history of the band!